The AudioMX HS-5S arrived in a large box, 11 x 9 x 4 inches. A jet black box with a nice pictures of the headphones printed on top. The headphones is inside on the right, and there is a small box on the other side. LIfting that small plastic box reveals a nice surprise: The HS-5S comes with an extra pair of valor ear pads. The entire package and the headphones themselves are of high quality. 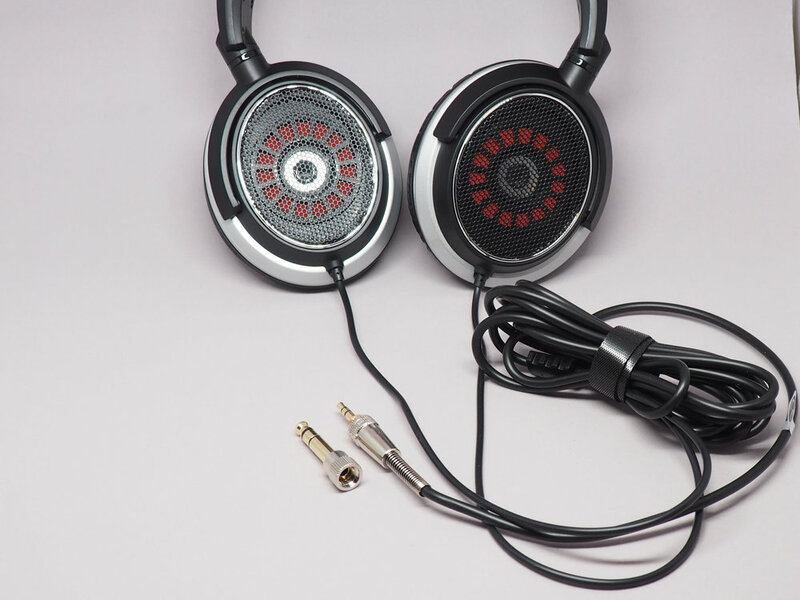 The cable is think and flexible, reminds me a little of the cable of my Grado RS-1. The cable attaches to both left and right ear cups, and joined in a molded stress relief plastic piece. The cable is long, over 8 ft. The jack at the end is a combined 3.5mm and 6.35mm (1/4 inch) Jack. The 6.35 jack is an adaptor. The cable end has a small stress relief spring attached. The ear cups and headband are reasonably padded with a leatherette material. The top side of the headband is a matte plastic with the audioMX brand tastefully recessed into the material. The HS-5S is of a open design. The grill on the ear cup is a hard black grid material. While there are metal looking parts on the ear cups, it is all plastic, but of high quality. The red color used in both sides of the ear cup (see photos) also give the headphones a nice design punch. 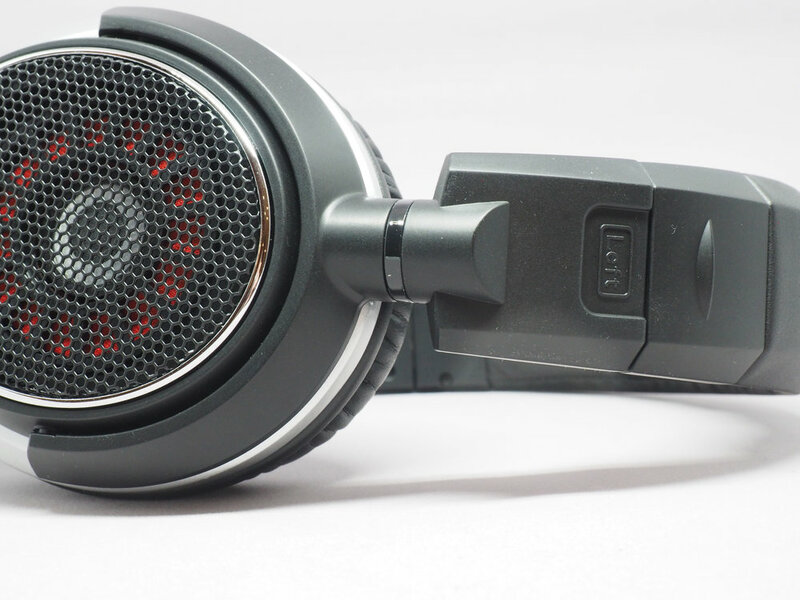 Overall, the HS-5S looks and feels like a much more expensive pair of headphones. I tested these headphones with my iPhone 7, my Macbook Pro, and with a small headphone amp fed by my Macbook Pro via USB. The sound quality is very good. The response is reasonably flat — on some pieces of music the high frequencies are slightly boosted. The bass is clear and strong. Since it is a pair of open design, I was slightly disappointed that the sound stage is not as wide as, say my RS-1. But it is perfectly acceptable, especially considering that the RS-1 costs about ten times more. Radiohead, Exit Music (For a Film), OK Computer - The booming vocal is clear. As the supporting vocals and instruments build up, each layer is clearly separated. Don’t Know Why, Norah Jones, Come Away with Me — I use this track to see how well the headphones render the piano against the guitar and vocals, and the HS-5S handles this well. Brad Mehldau, Exit Music (For a Film) - Songs: The Art of the Trio, Vol. 3 — This is the jazz piano version of the Radiohead song. I love how the percussion builds up cleanly as we get into the track. This is one track that I wish the soundstage is wider. The headband is well padded, as are the ear cups. The ear cups swivel for a good fit. The ear cups are large enough to go completely over my ear. The clamping force is high, together with the large ear cups, it does press down a bit much on my thick rim glasses. So I have to take the headphones off every so often just to relief the pressure. Otherwise it is a very comfortable pair of headphones. 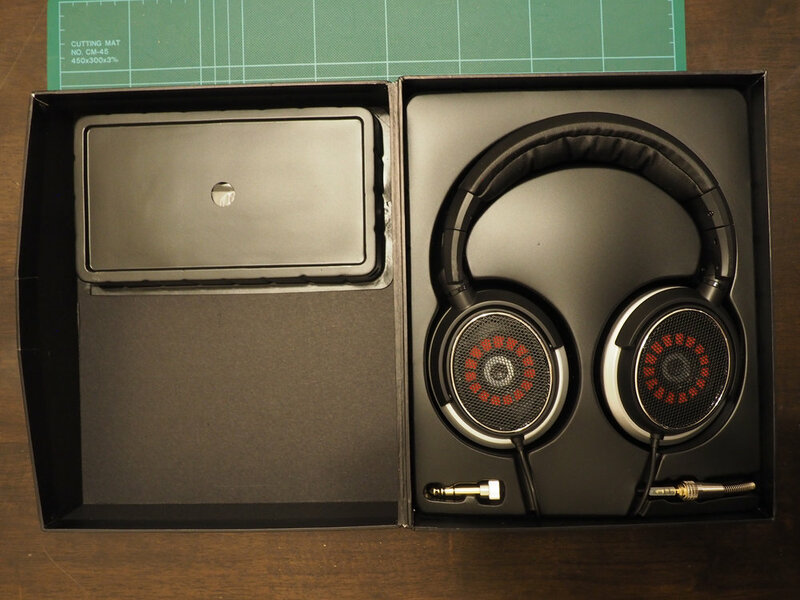 This is a great pair of Asian branded audiophile grade headphones, for a very reasonable price. The specs are great. The extras are nice surprises. The sound quality is good. This is a good pair of budget audiophile open back headphone.